i told some more stories about when i first started making records, how i would return cans and bottles in order to get money for food, the derelict factory where i lived without a toilet or running water, and how i thought my career as a musician was over right before the album play came out. i felt a little bit like grampa simpson, telling stories about the dysfunctional glory days of a new york before it’s descent into baffling affluence. and after i told a few stories someone said, ‘you should write a book’. and so i did. Porcelain: A Memoir is about my life from 1989-1999, but it’s also about new york as it transitioned from being a broken, dirty city to the bizarre and stratospherically expensive city it’s become. Porcelain: A Memoir is also about the underground hip hop and house music scenes of the late 80’s, and the birth of the club kids and the rave scene. i start the book as a sober christian in a tiny loft in an abandoned factory, and i end the book in a very different place. i tried to be as honest as i could be. in Porcelain: A Memoir i’m not a cool narrator or a disaffected anti-hero, i’m just a clueless and panicked human being trying to make sense of the strange worlds in which i found myself. again, i tried to be as honest i could. From one of the most interesting and iconic musicians of our time, a piercingly tender, funny, and harrowing account of the path from suburban poverty and alienation to a life of beauty, squalor and unlikely success out of the NYC club scene of the late ’80s and ’90s. There were many reasons Moby was never going to make it as a DJ and musician in the New York club scene of the late 80s and early 90s. This was the New York of Palladium, of Mars, Limelight, and Twilo, an era when dance music was still a largely underground phenomenon, popular chiefly among working class African Americans and Latinos. And then there was Moby–not just a poor, skinny white kid from deepest Connecticut, but a devout Christian, a vegan, and a teetotaler, in a scene that was known for its unchecked, drug-fueled hedonism. He would learn what it was to be spat on, literally and figuratively. And to live on almost nothing. But it was perhaps the last good time for an artist to live on nothing in New York City: the age of AIDS and crack but also of a defiantly festive cultural underworld. Not without drama, he found his way. But success was not uncomplicated; it led to wretched, if in hindsight sometimes hilarious, excess, and it proved all too fleeting. And so by the end of the decade, Moby contemplated the end of things, in his career and elsewhere in his life, and he put that emotion into what he assumed would be his swansong, his goodbye to all that, the album that would in fact be the beginning of an astonishing new phase in his life, the multi-million-selling Play. At once big-hearted and remorseless in its excavation of a lost world and his own place within it, Porcelain is both a chronicle of a city and a time and a deeply intimate exploration of the most gloriously anxious period of anyone’s life, when you’re on your own and betting on yourself but you have no idea how the story ends, and you live with the honest dread that you’re one false step from being thrown out on your face. 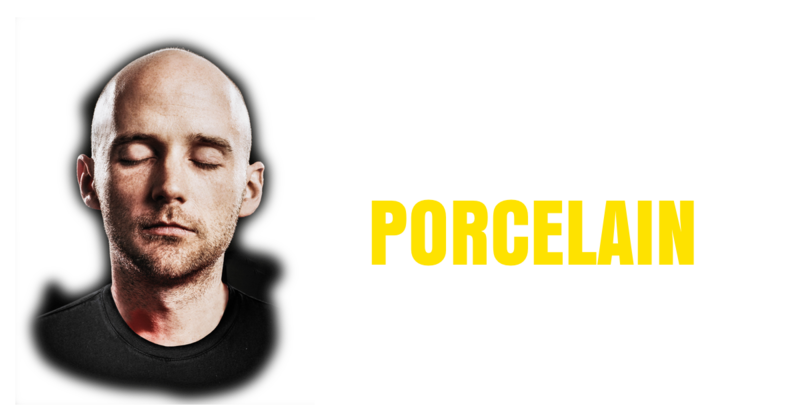 Moby’s voice resonates with honesty, wit, and above all, unshakable passion for his music, passion that steers him through some very rough seas. Porcelain is about making it, losing it, loving it and hating it. It’s about finding your people, and your place, thinking you’ve lost them both, and then, finally, somehow, when you think it’s over, from a place of well-earned despair, creating a masterpiece. As a portrait of the young artist, Porcelain is a masterpiece in its own right, fit for the short shelf of musicians’ memoirs that capture not just a scene but an age, and something timeless about the human condition. Push play.